I've seen these wheels and think they look pretty nice and I can probably get them for around 400. How do you think these would look on a 5th gen prelude? They're 15s btw. 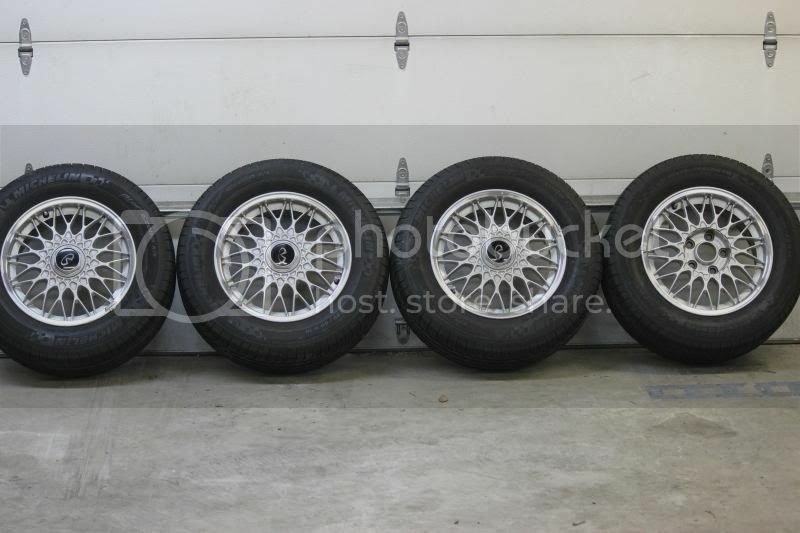 Or how about these on a prelude? How do you guys think these will look on a 5th gen prelude? Offset, lug pattern etc matter. Which 'generation' prelude are you speaking of? For a 4g or 3g 15" is great....provided they have the 5 bolt switcheroo.. The 5g came with 16's except some non USDM market that came with smaller steelies... So unless you use car tires vs the sports car height, they'll leave a bunch of wheel gap that lowering it 6" and having those special olympic looking crooked wheels won't even solve. Last edited by bykfixer; 07-05-2015 at 11:55 AM. The BBS are 5x114.3 and 45 offset and 6.5 wide. Do they still have the center cap for the 4th wheel of those BBS wheels?